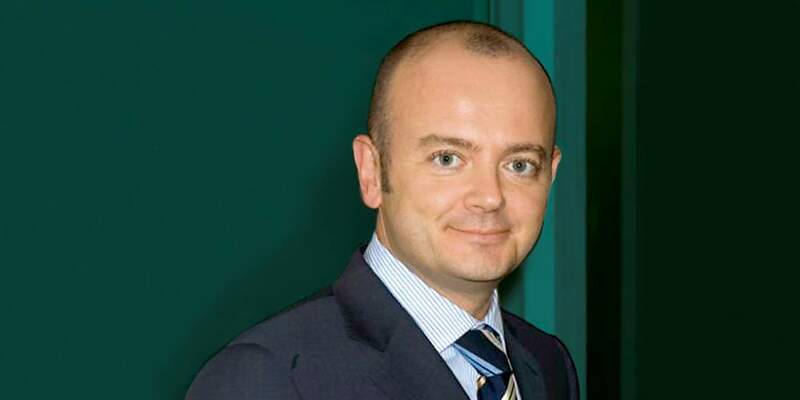 Global Advisory, the Italian pilot for Credit Suisse Invest, exceeded all expectations. The experience of Giorgio Riccucci, Head of Market Area Italy-Monaco, gives confidence that the new advisory model will also be successful in other countries and regions. At the end of last year, Credit Suisse Italy launched Global Advisory, a highly transparent fee-based advisory model which was revolutionary in the local market and was developed to anticipate upcoming regulatory changes and further differentiate Credit Suisse from its competitors. To date, almost one-fifth of the bank's clients in Italy and almost 20 percent of its assets have come under the model. With the success of Global Advisory exceeding expectations, it has become the pilot for Credit Suisse Invest, which will be rolled out in the new year for Private & Wealth Management Clients Switzerland, and for PB Western Europe and PB Latin America clients booked on the Swiss platform. The new model is almost identical to Credit Suisse Invest, and consists of an "all-in fee," which is determined on the basis of risk level, assets under management, frequency of contact with relationship managers and specialists, and a single price for all products. It allows for transparent pricing and removes any potential conflicts of interest. "If you go to a doctor, and the doctor charges you based on the medicine he or she prescribes instead of on the consultation, you probably won’t be happy with that," says Giorgio Riccucci, Head of Market Area Italy-Monaco, describing the concept. According to Giorgio, the single largest challenge was convincing RMs to get on board. Many were concerned about the consequences of going to clients and telling them they have been paying for services they were unaware of. "Global Advisory is a model that sells itself, but you have to talk about it," he says. By identifying best practices and regularly discussing their concerns and experiences, RMs grew increasingly comfortable with the new model and presenting it to clients. Management was actively involved in these discussions, and provided support where needed. "Some clients are concerned that they will pay more under the new model, but overall, they appreciate the new system," says Giorgio. "Once they understand what we are trying to achieve, most of them come to realize the advantages. Our advice is totally independent and transparent. The client pays the same for staying in cash or trading – a situation that is not so common in the Italian market. Logically, clients have higher expectations in terms of advisory services as they are now being transparently charged for them," adds Giorgio. Credit Suisse Italy's aim is to bring 60 percent of clients under the new model, and management is confident that this can be achieved. "I am very pleased with the progress we've made and excited about the growth and earnings potential the model holds. At the outset, our fee-only model Global Advisory was considered an obstacle, but now it's seen as indispensable," says Giorgio. Having overcome this challenge, the prospects appear rosy for Credit Suisse Invest. Rosanna Napolitano heads a team of six relationship managers in Milan. With 60 percent of the team's assets and 40 percent of its clients now using the Global Advisory model, the team has the highest success rate at Credit Suisse Italy for bringing clients to the new model. Corene Sullivan: How do you feel about Global Advisory? Rosanna Napolitano: Once you realize that the model speaks for itself and that clients are open to it, you start to have fun with it. It's refreshing to be taking a new approach in the industry. How do you explain your success in bringing so many of your clients over to the Global Advisory model? It has a lot to do with communication and discipline. In the beginning, my team and I spent a lot of time discussing how to approach clients and present the new model. Discipline is also key: the first item on the agenda at client meetings is always to introduce them to Global Advisory in a structured manner. We always bring the contracts along, ready to be signed. What were your concerns when you first learned about Global Advisory? Clients are our biggest treasure. I was worried about sitting down with them and telling them that, until that point, we hadn't itemized all of our fees. I spent some time trying to justify this, and then it just clicked. I realized that we had to change the perceived weakness – transparency – into a strength: We, as the first bank in Italy, offer clients a high level of transparency and are free of conflicts of interest. 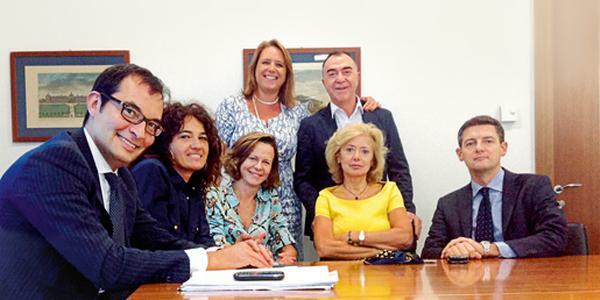 Rosanna Napolitano, Paolo Paselli (standing, from left), Costantino Pelosi, Linda Colella, Paula Flenkenthaller, Maristella Ghitti and Alberto Calderini (seated, from left) feel the launch of the new model has been very positive. Would you like to receive regular updates from Credit Suisse?